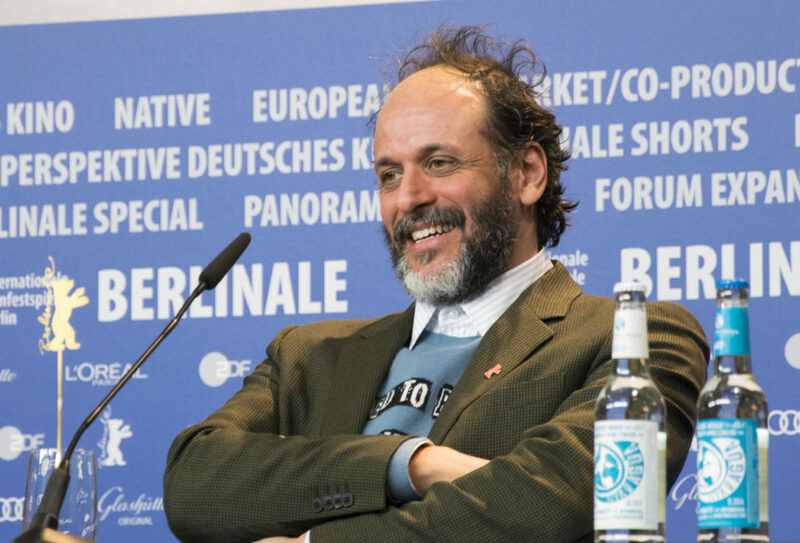 This probably goes without saying, but if you ever get the chance to chat with Luca Guadagnino about film and philosophy and gaze into his eyes for 20 minutes, do not pass it up. 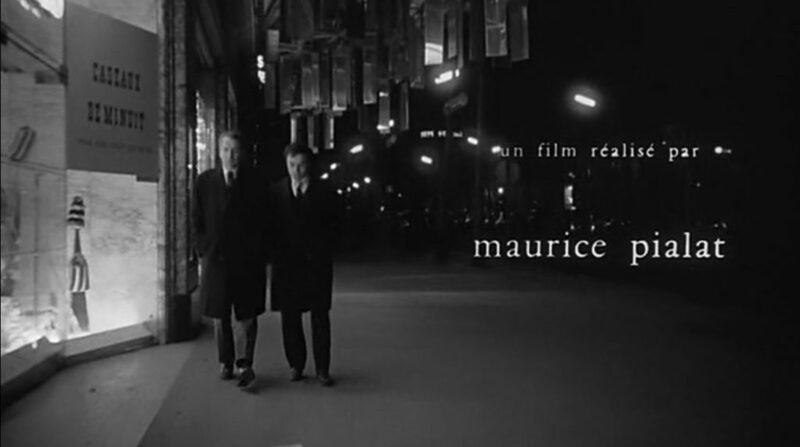 Having Luca on the show to talk about his love for the films of Maurice Pialat is incredible enough in and of itself, but as you will have heard by now (we hope), there’s also a moment where he talks about the Instagramification of memory. We live in an age where we can access every film, every image, in an instant. Thanks to home video and streaming services, we can watch the complete works of, say, Maurice Pialat, should the urge take us. Once upon a time, we’d have had to live near a repertory cinema, and been at the mercy of both the programmers’ whims and the libraries they had access to. This may sound like hell to younger film fans, but there was an additional value to works when they were rarer and harder to find. This is the point that Luca makes, and it’s an observation that we agree with despite the fact that our show would not actually be possible in a pre-streaming, pre-DVD age. So that’s something to chew on. But hey, this episode isn’t exclusively about Luca Guadagnino, Maurice Pialat, and the double-edged sword of instant access: we also talk about some of this month’s new releases, including Woody Allen’s period melodrama Wonder Wheel, Alexander Payne’s shrinking fantasy Downsizing, Luca Guadagnino’s Italian romance Call Me By Your Name, and Rian Johnson’s franchise-busting Star Wars – Episode VIII: The Last Jedi. And then, because it’s the last show of the year, we take stock of the year of cinema and compare our top five lists. Which five films impressed us the most? Which title made both lists? Which choice will make you, the listener, most angry? There’s a metric ton of content in this month’s episode, and we think you’ll agree that we’ve ended the year with a bang! In this show, we look at Woody Allen’s Wonder Wheel and Alexander Payne’s Downsizing. If you’d like to hear us talk about their filmographies in more detail, listen back to our Woody Allen episode here, and Alexander Payne episode here. We also talk about the new Star Wars, and if you want to compare our reactions, we looked at The Force Awakens here, and talked Rogue One here. No prequels, though. Podcasts weren’t that big back in 1999. Luca briefly mentions that he was into Fassbinder films prior to discovering Pialat. For his enjoyment and yours, here’s our episode devoted to the films of Rainer Werner Fassbinder. We talk about how Maurice Pialat’s Van Gogh makes him one of many notable directors to have made a film about the famous painter. He joins the pantheon of Vincent Van Gogh filmmakers we’ve discussed on the show, including Vincente Minnelli who made Lust For Life (1956), Robert Altman who made Vincent and Theo (1990), and Akira Kurosawa, who cast Martin Scorsese as Van Gogh in his film Dreams (1990). Now if a future guest could pick Paul Cox or Alain Resnais, we’d be close to the full set. Luca recommends that we watch interviews with Pialat, so here’s a good one to get you started: in a 1972 TV interview, Pialat looks back at 1968’s L’enfance nue with a French host who is sporting some truly impressive hair. Rochelle’s 2016 interview with Luca when he was out for A Bigger Splash can be read on SBS Movies. 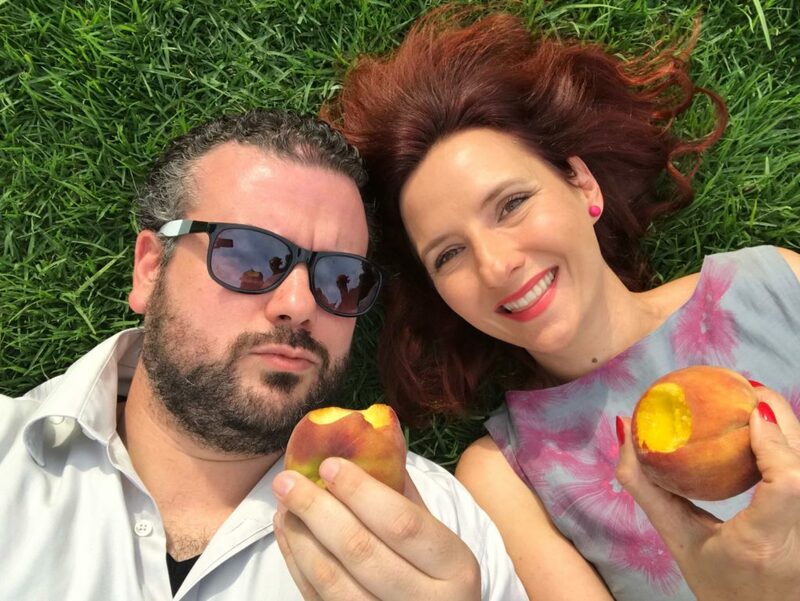 The Washington Post review that Rochelle refers to – the one that suggests a favourable alternative to watching Pialat’s Under the Sun of Satan would be to “stay at home and hit yourself over the head with a hammer” – can be read here. We were considering putting an image of that moment from Vertigo alongside that moment from I Am Love, but given what Luca says about the Instagram generation, that would entirely miss the point, wouldn’t it? So instead we recommend that you remember them both. Right now! Pretty good, eh? Huge thanks to Sony Pictures Australia, the Melbourne International Film Festival, and Asha Holmes Publicity for making the interview with Luca possible. And don’t forget to check out our 2017 Year In Review, featuring our rundown of the year that was, plus a collection of our alumni’s best-of-the-year lists! 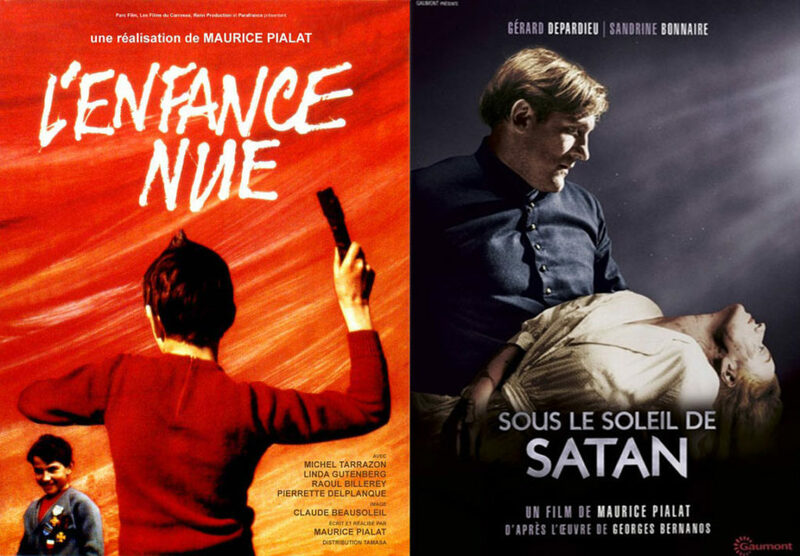 The latest episode of Hell Is For Hyphenates, featuring Luca Guadagnino talking the films of Maurice Pialat, can be heard on Stitcher Smart Radio, subscribed to on iTunes, or downloaded/streamed directly from our website. This entry was posted in blogs and tagged luca guadagnino, maurice pialat on December 31, 2017 by The Hyphenates. 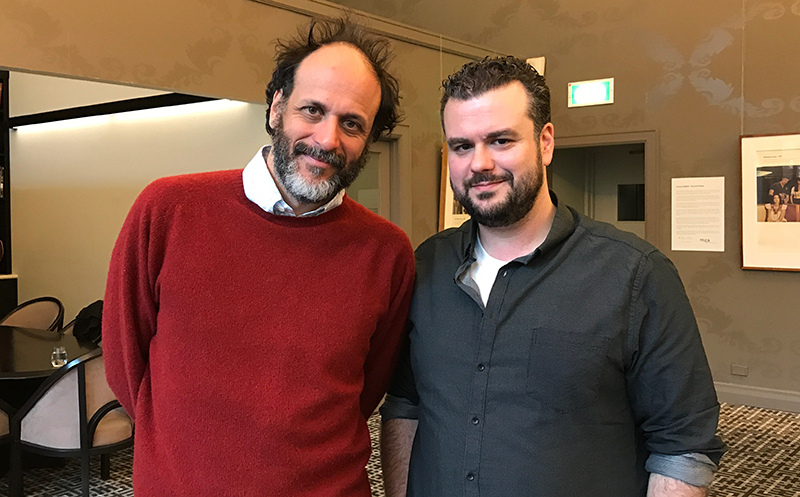 Just to be clear, Luca Guadagnino will not be the subject of our next episode: he will be our guest. He’s gonna be on the show. Guadagnino. Hyphenates. It’s happening. The Italian filmmaker behind 2009’s I Am Love, 2015’s A Bigger Splash, and this year’s Call Me By Your Name has become one of cinema’s most revered contemporary auteurs, and 2017 appears to be Luca’s most significant year to date: his latest film has been topping out half the best-of-the-year lists, he’s just directed a remake of Dario Argento’s Suspiria with Dakota Johnson, Chloë Grace Moretz and Tilda Swinton, and he’s gearing up to make a new adaptation of Swan Lake. But, of course, all of this will pale in comparison when he closes out the year with his most thrilling role to date: Hell Is For Hyphenates guest host. French writer and director Maurice Pialat! Pialat is not a name that comes up often. He is a relatively obscure figure compared to many of the names we’ve covered on the show, which is a little strange given the not-insubstantial success Pialat enjoyed during his career. 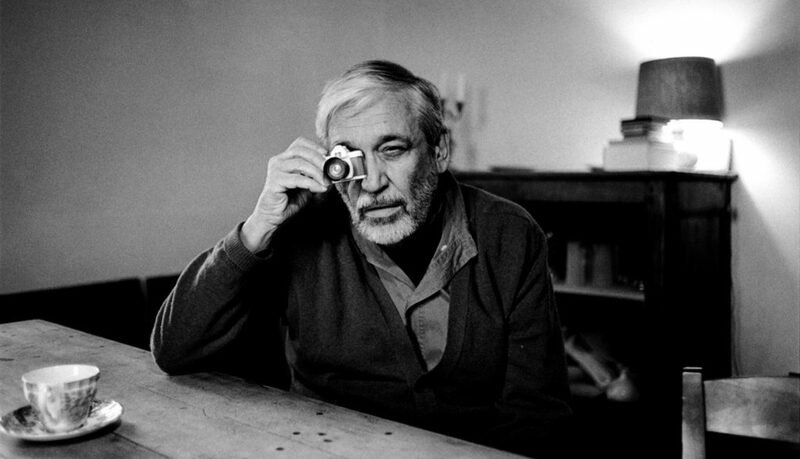 His first film, L’Enfance Nue (The Naked Childhood) (1969) won the Prix Jean Vigo at Cannes, and his Sous le soleil de Satan (Under the Sun of Satan) (1987) later picked up the Palme d’Or. His romantic crime thriller Police (1985), which was co-written by Catherine Breillat, was a smash hit, with over 1.8 million admissions in France alone. 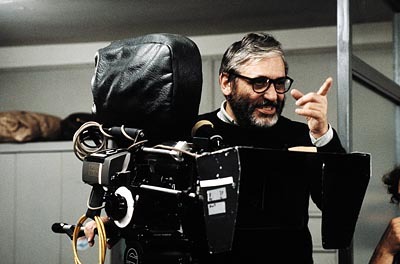 Pialat won numerous awards, his films made piles of money, his debut was produced by French New Wave icon François Truffaut, he enjoyed a close collaboration with Gérard Depardieu during the height of Depardieu’s fame, and critics favourably compared his work to that of Cassavetes and Renoir. Yet in an unscientific, anecdotal survey we conducted amongst the film nerds we happen to run into after Luca told us his filmmaker choice, at least 80% of them did not even recognise Pialat’s name, let alone his films. How does a filmmaker this influential just disappear? If his films are so great, why do we no longer talk about them? And, most importantly, why does one of the world’s most exciting working filmmakers adore him so much? Join us on December 31 when we find out! This entry was posted in blogs and tagged luca guadagnino, maurice pialat on December 12, 2017 by The Hyphenates.